We all know that smartphone apps aren’t always successful, and sometimes they’re ones that are popular in the beginning and somewhere along the line they seem to lose their appeal and are soon forgotten. Some aren’t necessarily forgotten, but they end up just sitting on your phone wasting storage space until you decide to clean out your phone. There are a few apps that came to mind as I saw them mentioned in some Facebook posts a while back. These are apps I used to love and are now gone from my phone either because they are a waste of my time or just don’t have the same appeal they had when they first came out. Checking in at every single location I went to in 2011-12 and collecting badges was what I was all about back when I got my first iPod Touch and iPhone 4s. There was no feeling like ousting someone as the major of a place! I don’t know when I lost my taste for the app, but I’m glad I did because I heard the changes are enough to make people leave the app. Making 36-second vlogs was something I enjoyed doing. It gave people a quick glimpse into my life, but since it came out around the same time as Vine it never got too popular, even though some celebrities often used the app. After getting too many spam followers, I closed my account and no longer use it. If you remember this app, then you were probably one of the people who got it as soon as it hit the App Store. Path was a cool way to update your status and sync it to Facebook and Twitter. It featured updates where you could tell your friends when you woke up, what you were listening to at the moment, and other updates that are probably on Facebook now. I only knew a few people that actually used this app, but died out pretty quickly in popularity. My last update was probably sometime in 2011. I realize this is still a popular franchise, but the ‘Angry Birds Fever’ is long gone. I re-downloaded the app a few days ago only to delete it once more because I just got bored with it. It’s sad to see that some of our favorite apps eventually lose their appeal, but nothing lasts forever right? I mean, look what happened to MySpace. I guess everything has its season… even iPhone apps. 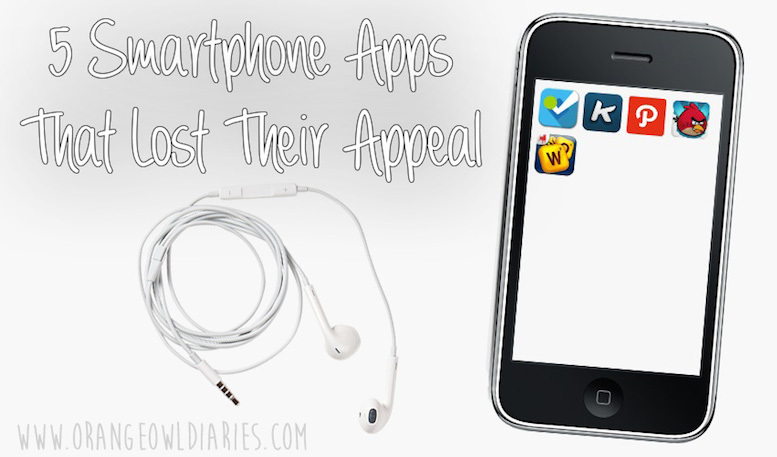 Which of your favorite apps have lost their appeal? This list would look somewhat similar for me, with Angry Birds and Words with Friends being the top two. I’d like to also nominate Draw Something as an app that’s lost its appeal. I clicked into it the other day following an update only to see that no one I play with has been active for over six months. That’s a sure sign an app has died. Oh yeah, that’s a good one too. I actually never had it on my phone, but a lot of my friends did.